How do you reach your visitors and customers? Away from home and office, 5% of people have a tablet or laptop ... 91% have a cell phone. Emails are read only 14% of the time, phone text messages 96%. Attract and retain customers with a program that reaches them how they live ... mobile! The Revenue Typhoon Mobile VIP Club is ideal for businesses that seek a full-featured but affordable marketing system. 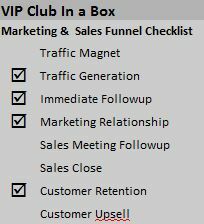 The VIP Club includes 4 campaigns to supercharge your marketing and sales. Traffic conversion. Use mobile and web lead capture to convert store, venue, event, advertising, and signage traffic to leads with special offers. Immediate Followup. Provide high touch service with signup confirmation, welcome, and offer redemption through both text and email. Marketing Relationship. Start marketing and even generate immediate sales with VIP Club deals. Customer Retention and Loyalty. Stay top of mind and build repeat business with regular and exclusive promotions. The Revenue Typhoon Mobile VIP Club is a full solution with customized design, software, technology, licensing, marketing, setup, monthly service, and support. Once it's set up, just tell us what promotions you want to run and when. We take it from there! The Club features mobile signup and broadcasts ... and lots more. It's comes with campaign web site, social media, and web and email signup and broadcasts. It's truly a VIP Club in a Box. 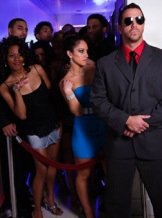 See specific features or contact us now to Get your own VIP Club!